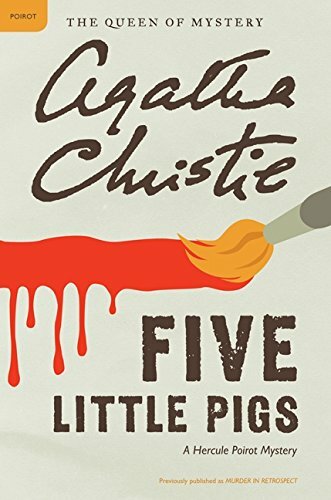 If you do an Internet search of “best Agatha Christie books,” you’ll find this novel in many top-five lists, along with Christie classics like And Then There Were None, Murder on the Orient Express, and The Murder of Roger Ackroyd. I’m a bit surprised by that. 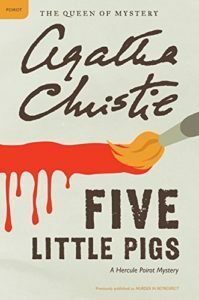 Pigs is a typical Hercule Poirot investigation, with the Belgian detective interviewing a series of murder suspects and then amazing everyone when he unmasks the killer. But unlike the classic mysteries listed above, Pigs doesn’t feature anything particularly clever or groundbreaking in the genre. It’s entertaining, but routine Christie.